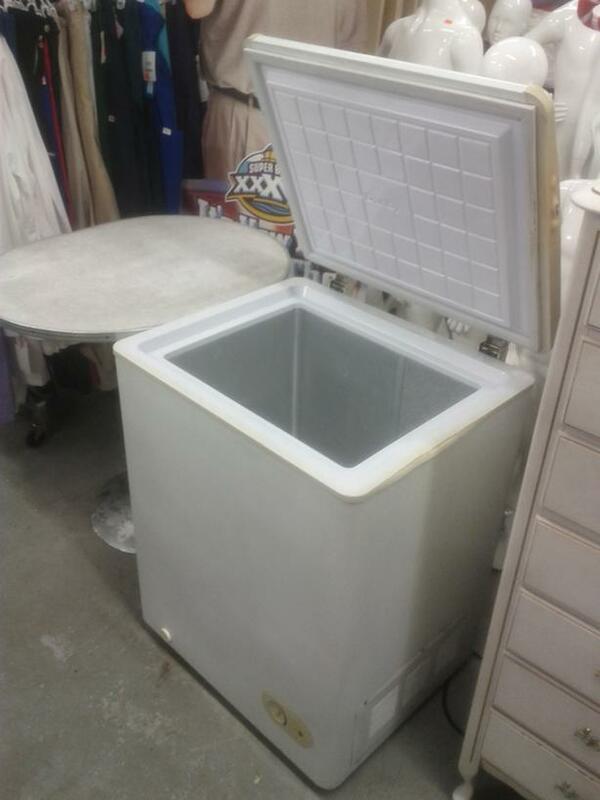 This is a nice small (believed to be 5 cubic feet) freezer in good working condition. The outside has a lot of love marks and does not look pretty. This nice small freezer measures 25X23X32.5 inches high. Great for the apartment or small house.